The first early finales are here, and Sleepy Hollow closed out its first season on a high note. The supernatural drama, which did so well in its early weeks that it got an early renewal, proved that renewal was worth it with strong numbers for its season finale. Meanwhile, Dracula closed out its first season, Supernatural stayed strong, and The Vampire Diaries put up solid numbers with its first episode of 2014. Sleepy Hollow got a nice boost for its season-one finale, picking up viewers and ratings points for its best night since mid-November. Now we just sit back and wait for season two. Beauty and the Beast picked up a few viewers and held its demo score for another night that could bring it one step closer to cancellation. Teen Wolf picked up a few viewers and held strong in the demo for another week that's looking better than most of last season. Lost Girl slipped in its second week back after a season premiere that didn't do as well as last season. It hit low points like this last year and bounced back, though, so there's no reason to think it can't be done again. Being Human fell in both viewers and demo score this week, but it's still the strongest link in Syfy's Monday night lineup. 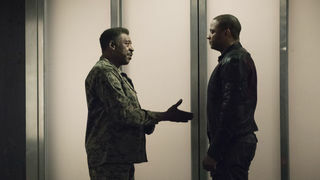 Bitten took a somewhat sharp drop in its second week after a less-than-stellar series premiere. We'll see if it can rebound, or if this is just what we can expect from this series. Archer took a sizable ratings hit in the second week of its new season, but it's nowhere the show hasn't been before. Intelligence took another drop in week three after a very steep drop-off from its premiere numbers in week two. Three episodes in, and this show's already in trouble. We'll see what can be salvaged. Supernatural got a nice boost this week to reach its highest viewership numbers all season. This show just won't quit. The Originals got a big boost this week for its best night ever, even better than the series premiere. We can expect this show to stick around. Ravenswood got a small boost to its viewers but held its demo score steady. We'll see if it can climb again, or if this is where it'll settle for a while. Coven lost a few viewers but actually got a boost in its demo score to finish in second place on very competitive cable night. We'll see if the season finale can do better. Arrow took another drop this week. It's underperforming compared to this time last year, but it's still one of the top shows on its network, and you can bet it's got a few more tricks to throw at viewers this season. Revolution bounced back from a drop this week, but it's still struggling. We'll see if it can hold on enough to get a third season. The Tomorrow People held its demo score but dropped a few viewers. It's still got a chance of a second season, but that chance is looking slimmer. Dragons lost a few viewers and held its low demo score. It's underperforming compared to last season, but it's not dead yet. The Vampire Diaries returned for its first 2014 episode with a boost across the board. We'll see if it keeps climbing. Dracula climbed again for its season finale, but it still finished more than 2 million viewers and nearly a full demo point lower than its series premiere, and those numbers weren't great to begin with. That doesn't mean we won't see it again next year, but at the moment, cancellation, sadly, looks more likely than renewal. Grimm held its demo score but got a nice viewership boost, for its best night since the season premiere. The Neighbors dropped again to tie its series-low demo score. Don't expect this one to stick around. Helix picked up a few viewers and held its demo score, but though these numbers might seem a bit low, the show is doing much better when you factor in DVR numbers. Atlantis lost a few viewers but held its demo score. Sadly, PBS doesn't release its ratings data the way other networks do, but when we know, you'll know.